The Eighth Judicial District Commission on Judicial Performance unanimously recommends that Judge Stephen E. Howard BE RETAINED. 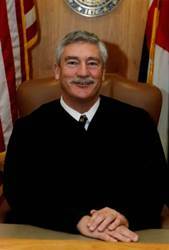 Judge Howard received his Juris Doctorate degree from the University of Colorado and his undergraduate degree from Colorado College. The Honorable Stephen Howard was appointed to the District Court in January 2011. Prior to his appointment, Judge Howard was a lawyer in private practice in Fort Collins, Colorado with an emphasis in civil litigation. Along with his extensive experience in private practice he has attended the National Judicial College. The Commission reviewed evaluation surveys, the judge’s self-evaluation, and written opinions authored by him. Commission members conducted courtroom observations, interviewed Judge Howard and a representative of the District Attorney’s Office. Attorneys who responded to the survey questionnaire speak to Judge Howard’s fairness and dedication to seeking the correct outcome. The Commission found him thoughtful in his interview. His demeanor is attentive and respectful of all involved. Non-attorneys who responded to the survey questionnaire also cited his fairness and ability to explain concepts to the jury. Judge Howard’s opinions are generally well written and he is credited with handling a diverse docket. The Commission considered statistical responses as well as written comments dealing with courtesy, impartiality, communication skill, judicial temperament, diligence, application of the law and retention. Judge Howard is working towards entering more timely rulings. As a newly appointed Judge, the Commission is confident this will improve.